The Microsoft Partner Association IAMCP organized a Networking and Knowledge sharing event on 11th August 2017 at Microsoft Mumbai Office. The Key focus of this event was to give partners an update on the Microsoft Strategy for 2017-18 with emphasis on the recent changes along with an overview on Microsoft Inspire 2017 which just concluded in Washington DC. The Target Audience for the event was the CEO/ CXOs of Microsoft Partners. After the round of Partner introductions, Suresh Ramani, President, IAMCP, India, gave a presentation to Partners and gave details of the Microsoft Strategy for the new fiscal year. The key thrust will be on Digital Transformation which is a USD 4.5 Trillion Opportunity. Going forward, Microsoft will focus on 4 Solution areas of Modern Workplace; Business Applications; Apps & Infrastructure; Data & Artificial Intelligence. A new Solution was launched called Microsoft 365 which combines Windows 10 plus Office 365 plus Enterprise Mobility + Security. In addition, Microsoft would also focus on certain key Industry segments. After giving details of the Microsoft Strategy, Suresh gave details of the huge presence that IAMCP had at Microsoft Inspire. There were Executive Round Tables with Microsoft Leadership exclusively for IAMCP members. Some of the Senior Microsoft Leadership Team which took part in these Round Tables were Brad Smith ( President & Chief Legal Officer ) ; Gavriella Schuster ( Corp VP Global Partner Channels & Programs ) ; Toby Richards ( GM Partner Programs ) ; Chris Webber ( Corp VP ); Didier Ongena ( GM Sales & Marketing ). The next session was taken by Anil Mathur, Director, Partner Development, Microsoft. He gave detailed presentation on the new Microsoft Organizational Structure and also the reasoning behind the same. He then went on to explain how Partners can align themselves with the new Microsoft Structure and then he highlighted various new investments made by Microsoft to ensure that Partners get all the help from Microsoft to increase the process of Digital Transformation of their Customers. After this insightful presentation, there was a Partner Round Table. The Participants were Jayesh Shah ( Orient Technologies , a leading SI of India ); Devesh Agarwal ( Compusoft , a leading CRM & ERP Partner) ; Manish Tandon ( Questa, a leading reseller); Anil Mathur ( Director, Microsoft). 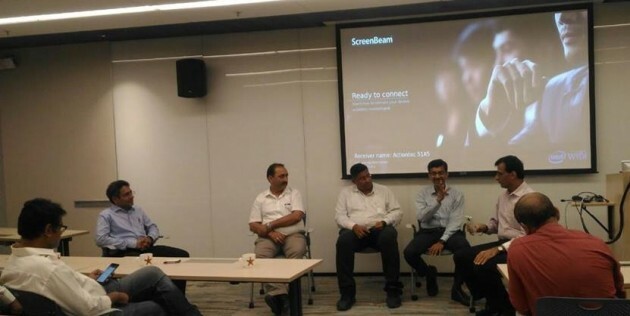 The panel was moderated by Suresh Ramani (TechGyan, Office 365 and Azure Partner). There was a frank discussion on pros and cons of the Microsoft Strategy and Structure. More importantly, the Round Table threw up lot of suggestions for Microsoft which would help them to execute on the strategy better. About 25 partners participated in the meeting and Partner feedback was that such meetings help them in understanding the Microsoft Strategy. IAMCP organizes event focuses Microsoft Strategy for 2017 0 out of 5 based on 0 ratings. 0 user reviews.